Accurate Auto Glass, Inc. and its affiliates (“Accurate Auto Glass, Inc.” “us”, “our”, or “we”) has created these Terms of Service (“Terms”) to govern the use of our websites, mobile websites, mobile applications (“Sites”) and the services, merchandise, or other products accessible, offered or provided by us or our marketing partners through or in connection with the Sites that link to these Terms (collectively, the “Services”). PLEASE READ THESE TERMS CAREFULLY BEFORE USING THE SERVICES BECAUSE THEY ARE A LEGALLY BINDING DOCUMENT AND AFFECT YOUR LEGAL RIGHTS AND OBLIGATIONS. Updates to Terms. Accurate Auto Glass, Inc. reserves the right to update or otherwise change these Terms at any time by posting the most current version of the Terms on our Services with a new “Effective Date” shown. All changes are effective from the Effective Date. Your continued use of the Services after the new Effective Date signifies your agreement to any such changes. Non-electronic Copy. You have the right to receive this Agreement in non-electronic form. To receive a non-electronic copy of these Terms, send a request letter and a self-addressed stamped envelope to: Accurate Auto Glass, Inc., 345 Schwartz Road, Akron, OH 44319. Contacting You. When you provide us with contact information in connection with a particular activity or product or otherwise when using our Services, such as an email address or telephone number, you agree that this action constitutes a purchase or inquiry establishing a business relationship with us. You expressly consent to our communicating with you using contact information obtained directly from you or which is provided to us with your consent. You attest that you have the legal authority over any contact information provided to us and can provide us and/or third parties with the authorization to contact you. This means you may be contacted in person or by recorded message, by e-mail, telephone and/or mobile telephone number (including use of automated dialing equipment), text (SMS) message, IM messaging, or any other means of communication that your wireless or other telecommunications device may be capable of receiving), in accordance with applicable law. Please keep your contact information up to date as you are solely responsible for any contact information you provide to us. 2. BILLING AND AUTOMATICALLY RENEWING SERVICES. Purchasing our Products or Services. Please refer to the applicable offer for a description of our products and services such as our series, libraries and collections, or current subscription plans and pricing. Any terms and conditions of any offer disclosed to you when ordering are deemed part of these Terms. Fees & Subscriptions. If you purchase any of our subscription or membership Services, Accurate Auto Glass, Inc. will bill you periodically for the offer you selected and will bill you the applicable fee (“Fee”) using the billing and purchasing information you provide (e.g., credit/debit card number, billing address, and expiration date) (“Billing Information”). By providing your Billing Information, you authorize Accurate Auto Glass, Inc. to charge your chosen payment provider (your “Payment Method”) pursuant to the offer you accepted, including any recurring Fees for any automatically renewing Services until you affirmatively cancel the Services or change your Payment Method. The terms of your payment will be based on your Payment Method and may be determined by agreements between you and the financial institution, debit/credit card issuer or other provider of your chosen Payment Method (the “Payment Method Provider”). If Accurate Auto Glass, Inc. does not receive payment from your Payment Method Provider, you agree to pay all amounts due on your account upon demand. In the event we are advised of insufficient funds in your account or credit to cover your payment by your Payment Method, we may re-present such un-cleared or rejected payment to your Payment Method Provider. In the event we have to collect unpaid amounts you owe us, you will be liable for all collection costs, including attorneys’ and collection agency fees. Accurate Auto Glass, Inc. reserves the right to correct any errors or mistakes that it makes even if it has already requested or received payment and to update your information from available third party sources. In the event Accurate Auto Glass, Inc. cannot charge the Payment Method you provide, we reserve the right to terminate your order, subscription or membership Services and invoice you for any unpaid amounts. Cancellation Rights. REGARDLESS OF THE TERMS OF THE OFFER YOU ACCEPT, IF YOU MAKE A REQUEST TO CUSTOMER SERVICE, YOU CAN CANCEL ANY MEMBERSHIP AT ANY TIME TO AVOID FUTURE CHARGES, OR TO RECEIVE A PRO RATA REFUND FOR AN ANNUAL MEMBERSHIP. YOU WILL RECEIVE A FULL REFUND FOR AN ANNUAL MEMBERSHIP IF YOU CANCEL WITHIN THE FIRST THIRTY DAYS AFTER YOUR INITIAL PAYMENT DATE. Termination or Billing Inquiries. To terminate any Services or change your Payment Method or for any other billing related inquiries, please contact customer service at 330-724-6323 or contact us as set forth in the Section 11. Current Billing Information Required. You must promptly notify Accurate Auto Glass, Inc. if your Payment Method is canceled (e.g., for loss or theft). If you fail to notify us, you remain responsible for any continued charges to the Payment Method you provided. Accurate Information. For purposes of identification and billing, you agree to provide Accurate Auto Glass, Inc. with accurate, complete, and updated Billing Information required when purchasing online or offline, and provide Accurate Auto Glass, Inc. and its third party payment processor express authorization to charge the Fee at the time of purchase. Failure to comply with this provision (including, without limitation, falsification of any Billing Information) may, at Accurate Auto Glass, Inc.’s option, result in immediate suspension or termination of your right to use the Services. Change in Fees for Recurring Charges. Accurate Auto Glass, Inc. reserves the right to change the fees for its merchandise and Services and will provide notice of any increase prior to your being charged. Free or Introductory Promotional Offer. If you enrolled for any of our Services under a special introductory offer (for example, a discounted or free initial trial or free merchandise), you are subject to the terms of the offer you accepted and, unless you cancel within the time frame presented in the offer, the applicable regular Fee for the Services you selected will be posted to your Payment Method after the introductory offer or trial period is completed. We reserve the right to limit any introductory or trial offer to one per person/business/household. Personal Use. The content (which includes but is not limited to text, tests, photographs, video, graphics, music, images, animations, audio, software, plug-ins, and “applets” incorporated into the software, data, sounds, messages, comments) on the Services (“Content”) are intended for your personal, noncommercial use, and not for resale to any third party, in accordance with these Terms. You are granted a limited, revocable, and nonexclusive right to create a hyperlink to the home page of our Site(s) so long as the link does not portray Accurate Auto Glass, Inc. or the Services in a false, misleading, derogatory, or otherwise offensive manner, or express or imply any endorsement by Accurate Auto Glass, Inc. of the sites from which you are linking. Further, the sites from which you are linking to the Sites must not contain any obscene, defamatory, pornographic, offensive or illegal content. Modification to Services. Accurate Auto Glass, Inc. has the right to modify its Services (and products and services accessible through its Services) and Content at any time in its sole discretion. Your only right with respect to any dissatisfaction with any modifications made pursuant to this provision, or any policies or practices of Accurate Auto Glass, Inc. in providing its Content or Services is to cancel your order or stop using our Services. No Binding Offer. Nothing on the Services constitutes a binding offer to sell, distribute or give away any products or services. We reserve the right at any time after receipt of your order to accept or decline such order, or any portion thereof, or to not ship to particular addresses, even after your receipt of an order confirmation or after you have been charged. Any prices displayed on the Services are quoted in U.S. dollars and are intended to be valid and effective only in the United States. In the event the products and services are listed at an incorrect price, we have the right to refuse or cancel orders placed at the incorrect price, regardless of whether the order has been confirmed or you have been charged. If your order is cancelled by us after you have been charged, we will issue a credit. We reserve the right at any time to limit the quantities of products or services, which you, your family or any group seek. Images of Products. Images available on or through the Services of any products may not accurately capture the actual appearance, color, look and feel, specifications, features, or functionality of such products. Data Collection Policy. All data generated by or collected from us or our users while visiting our Services is our property. No party unaffiliated with us may collect or use, or direct, authorize or assist other persons or entities to collect or use, any data from a user, or a computer or device operated by a user, while accessing our Services without our prior express written permission. For example, no data may be collected, used or transferred for purposes of targeting any advertisements, segment categorization or any form of syndication which is related to our Services, the Content, or our users without our prior express written permission of in each instance. The data covered by this policy includes, but is not limited to, data collected via any advertising unit, widget, pixel tag, cookie, script or other data collection process. Security of Username and Password. You are entirely responsible for maintaining the confidentiality of your password and account. Furthermore, you are entirely responsible for any and all activities that occur under your account. You agree to notify us immediately of any unauthorized use or theft of your account or any other breach of security (and to provide properly documented evidence as reasonably requested by us). We will not be liable for any loss that you may incur as a result of someone else using your password or account, either with or without your knowledge. However, you will be liable for losses incurred by us or another party due to someone else using your account or password. You may not use anyone else’s account at any time for any reason. 4. USE OF POSTING SERVICES. Posting Services. The Services contain communication services designed to enable you to post and communicate content, such as reviews, (collectively, “User Content”) using the Services. You agree that all such User Content you submit, post, upload, embed, display or communicate (collectively, “Distribute”) through the Services will comply with these Terms and with the User Requirements set forth herein. You acknowledge and agree that your User Content is public and that you have no expectation of privacy concerning your User Content. Therefore, exercise caution when posting any personal information; it may be seen and used by others and result in unsolicited communications. Accurate Auto Glass, Inc. has no obligation to monitor User Content but reserves the right to review and remove any User Content at any time, without notice, for any reason and in its sole discretion. Accurate Auto Glass, Inc. specifically disclaims any liability with regard to the User Content and any actions resulting from your participation in any posting Services. Accurate Auto Glass, Inc. IS NOT RESPONSIBLE FOR ANY USER’S MISUSE OR MISAPPROPRIATION OF ANY USER CONTENT OR INFORMATION YOU POST ON OR THROUGH THE SERVICES. Objectionable Content. If you encounter something you find objectionable and in violation of these Terms, you can report it to Privacy@EZWebCenter.com. License to User Content. All User Content must comply with these Terms. By submitting, transmitting, or displaying your User Content on or through the Services, you automatically grant (and you represent and warrant that you have the right to grant) to Accurate Auto Glass, Inc., its licensees, and their respective successors in business and assigns, officers, directors, employees, licensees, agents, representatives and other users of the Services, a worldwide, sublicenseable, assignable, perpetual, irrevocable, non-exclusive, royalty-free, unlimited right and license to use, reproduce, publish, distribute, publicly display and perform, reformat, adapt, modify and delete your User Content in connection with the Services (“License”). Representation of Ownership. You retain copyright and other intellectual property rights with respect to any User Content that you submit or Distribute through the Services to the extent that you have such rights under applicable law. By posting User Content on the Services you represent and warrant that (i) you own such User Content or otherwise have the right to grant us the License set forth in these Terms; (ii) the User Content is accurate and not confidential and the distribution, submission, transmission, posting and use of your User Content on the Services is not in violation of any applicable laws or contractual restrictions or other third party rights (including, without limitation, privacy, publicity, and intellectual property rights); and (iii) you are solely responsible for, and Accurate Auto Glass, Inc. will have no liability in connection with, your User Content or any other User Content you access through the Services. Your ownership in your User Content does not confer any rights or access to the Services, nor any rights to other User Content or Accurate Auto Glass, Inc. Content stored by or on behalf of Accurate Auto Glass, Inc.. Feedback. All comments, feedback or materials submitted by users to us, including feedback, testimonials, images, reviews, questions, comments, suggestions or ideas (collectively, “Feedback”), is received and treated by us on a non-confidential and unrestricted basis. Accurate Auto Glass, Inc. is free to use, display, perform, distribute, copy, adapt, and promote the Feedback in any way, without compensation to you. You agree that in submitting Feedback, it will not violate any right of any third party, including any confidentiality, copyright, trademark, privacy or other personal or intellectual property or proprietary rights, and will not cause injury to any person or entity or contain libelous or otherwise unlawful, threatening, abusive or obscene material, or contain viruses, commercial solicitations, or any form of “spam”. post content that contains links to other sites that contain the kind of content, which falls within the descriptions prohibited by this section. Filing a Complaint. Accurate Auto Glass, Inc. has designated an agent with the United States Copyright Office in accordance with the terms of the Digital Millennium Copyright Act (the “DMCA”) and avails itself of the protections under the DMCA. We reserve the right to remove any User Content on the Services which allegedly infringes another person’s copyright. We are under no obligation to scan content posted for any violations of third party rights. However, we respect the copyright interests of others and it is our policy not to permit materials known by us to infringe another party’s copyright to remain on the Services. Ownership of Content and Marks. The Services, and all Content published on or accessible through the Services is owned by Accurate Auto Glass, Inc. or its licensors, and is protected by laws governing copyrights patents, trademarks, trade secrets and/or other proprietary rights. Accurate Auto Glass, Inc. owns a copyright in the selection, coordination, arrangement and enhancement of such Content and a copyright in the Services. All trademarks, logos, service marks, trade names, and trade dress appearing on the Services (“Marks”), are proprietary to Accurate Auto Glass, Inc. or its licensors. You acknowledge that you do not acquire any ownership rights in any Content or Marks downloaded or accessed from the Services. You may not frame or utilize framing techniques to enclose any Mark or Content (including images, text, page layout, or form) nor use any Meta tags or any other “hidden text” utilizing Accurate Auto Glass, Inc.’s or its licensors’ name or Marks without the prior express written consent of Accurate Auto Glass, Inc..
You agree not to copy, reproduce, publish, transmit, distribute, perform, sell, create derivative works of, or in any way exploit, any Sites, Services or any of the Marks or Content, in whole or in part, without the prior written consent or Accurate Auto Glass, Inc.. Accurate Auto Glass, Inc. grants you a limited, revocable, non-sublicenseable license to access (but not through scraping, spidering, crawling or other technology or software used to access data), and display the Content (excluding any software code) solely for your use in connection with accessing and using the Services as reasonably necessary to use them for their intended purpose. Accurate Auto Glass, Inc. and its licensors reserve all rights not expressly granted in and to its respective Marks and Content. No Other License Granted. Except for allowing you to use the Services for your use as set forth herein, when you use the Services, you are not receiving a license or any other rights from Accurate Auto Glass, Inc., including intellectual property or other proprietary rights of Accurate Auto Glass, Inc.. You understand that you have no rights to the Content or Services or any other Accurate Auto Glass, Inc. property except as indicated. Age Requirements. You must be at least 18 years old or the age of majority in your state or country of residence, whichever is older, to use the Services. No Third Party Beneficiaries. You agree that, except as otherwise expressly provided in these Terms, there are be no third party beneficiaries to these Terms. International Users. The Services can be accessed from locations around the world. Accurate Auto Glass, Inc. makes no representations that the Services, the Content or merchandise available through the Services, is appropriate for use at other locations outside the United States. Access to the Services from locations where the Services, merchandise or any of its Content is illegal is prohibited. If you access the Services from a location outside the United States, you are responsible for compliance with all local and international laws. U.S. Export Controls. Software from the Services (“Software”) is subject to United States export controls. No Software may be downloaded from the Sites or otherwise exported or re-exported (i) into (or to a national or resident of) any other country to which the U.S. has embargoed goods; or (ii) to anyone on the U.S. Treasury Department’s list of Specially Designated Nationals or the U.S. Commerce Department’s Table of Deny Orders. By downloading or using the Software, you represent and warrant that you are not located in, under the control of, or a national or resident of any such country or on any such list. Links and Other Third Party Activities. You may be able to access other websites or resources through links accessible through Services. Because Accurate Auto Glass, Inc. has no control over such websites you acknowledge and agree Accurate Auto Glass, Inc. is not responsible for the availability of such external websites or resources, and does not endorse and is not responsible or liable for any content, advertising, products or other materials or available from such websites or resources, nor does Accurate Auto Glass, Inc. endorse any such websites or the products or services accessible on such websites. You further acknowledge and agree that Accurate Auto Glass, Inc. shall not be responsible or liable, directly or indirectly, for any damage or loss caused or alleged to be caused by or in connection with use of or reliance on any such content, goods or services available on or through any such websites or resource. The Services may include or give you access to third-party materials, services, or products or content (collectively, “Third Party Materials”) provided by Accurate Auto Glass, Inc.’s licensors, vendors, merchants, or marketing partners (“Third Parties”) which may be governed by additional terms and conditions. In some instances, these Third Parties may require you to agree to additional terms and conditions that are not set forth in these Terms prior to accessing or using such Third Party Materials on or through the Services. Accurate Auto Glass, Inc. does not recommend or endorse the products, services or any other information of Third Parties on the Services. If you have a dispute with one or more Third Parties, you release Accurate Auto Glass, Inc. and the Released Parties (as defined below) from claims, demands, liabilities, costs or expenses and damages (actual and consequential) of every kind and nature, known and unknown, arising out of or in any way connected with such disputes. In entering into this release, you expressly waive any protections (whether statutory or otherwise) to the extent permitted by applicable law, that would otherwise limit the coverage of this release to include only those claims which you may know or suspect to exist in your favor at the time of agreeing to this release. The Content of the Services is for informational or entertainment purposes only and does not constitute and is not intended to be professional advice. You assume all risks associated with your use of the Services. Always seek the advice of a physician or other qualified health provider before starting any physical exercise, fitness or wellness regimens of any kind or the advice of a qualified professional regarding any financial, insurance or other important personal decisions you might make in connection with your use of the Services. RELIANCE ON ANY INFORMATION ON THE SERVICES IS AT YOUR OWN RISK. UNLESS PROHIBITED BY APPLICABLE LAW, THE RELEASED PARTIES (DEFINED BELOW) ARE NOT RESPONSIBLE OR LIABLE FOR ANY ADVICE, COURSE OF TREATMENT, DIAGNOSIS, DRUG AND DEVICE APPLICATION OR OTHER INFORMATION, SERVICES, OR PRODUCTS THAT YOU OBTAIN ON OR THROUGH THE SERVICES. Disclaimer of Warranties. YOU UNDERSTAND THAT YOUR USE OF THE SERVICES (INCLUDING ANY DOWNLOADS OR ANY LOSS OF DATA OR OTHER DAMAGE TO YOUR COMPUTER SYSTEM OR MOBILE DEVICE YOU EXPERIENCE FROM USING OR ACCESSING THE SITES AND SERVICES) IS AT YOUR SOLE RISK. YOU UNDERSTAND THAT THE SERVICES AND ALL INFORMATION, PRODUCTS AND OTHER CONTENT (INCLUDING THIRD PARTY MATERIALS INFORMATION, PRODUCTS OR CONTENT INCLUDED IN OR ACCESSIBLE FROM THE SERVICES), ARE PROVIDED ON AN “AS IS”, “WHERE-IS” AND “WHERE AVAILABLE” BASIS, AND ARE SUBJECT TO CHANGE AT ANY TIME WITHOUT NOTICE TO YOU. YOU ACKNOWLEDGE THAT Accurate Auto Glass, Inc. MAKES NO WARRANTY THAT THE SERVICES WILL BE UNINTERRUPTED, TIMELY, SECURE, OR ERROR-FREE. 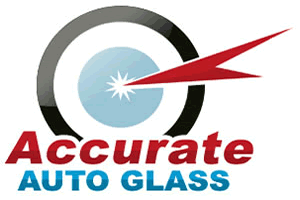 YOU UNDERSTAND THAT Accurate Auto Glass, Inc. DOES NOT WARRANT THAT THE RESULTS OBTAINED FROM YOUR USE OF THE SERVICES WILL MEET YOUR EXPECTATIONS. NO WARRANTY OF ANY KIND, WHETHER ORAL OR WRITTEN, CAN MODIFY THE TERMS OF THE DISCLAIMER SET FORTH IN THIS DOCUMENT. IF YOU ARE DISSATISFIED WITH ANY OF THE PRODUCTS OR SERVICES OR CONTENT ACCESSIBLE OR CONTAINED IN THE SERVICES, OR WITH ANY OF THESE TERMS, YOUR SOLE AND EXCLUSIVE REMEDY IS TO DISCONTINUE ACCESSING AND USING THE SERVICES. TO THE FULLEST EXTENT PERMITTED BY LAW, Accurate Auto Glass, Inc. DISCLAIMS ALL REPRESENTATIONS, WARRANTIES, AND CONDITIONS OF ANY KIND (EXPRESS, IMPLIED, STATUTORY, OR OTHERWISE, INCLUDING BUT NOT LIMITED TO THE WARRANTIES OF MERCHANTABILITY AND FITNESS FOR A PARTICULAR PURPOSE, TITLE, AND NON-INFRINGEMENT OF PROPRIETARY RIGHTS) AS TO THE PRODUCTS AND SERVICES AND ALL INFORMATION, AND OTHER CONTENT (INCLUDING THIRD PARTY MATERIALS, INFORMATION, PRODUCTS, AND CONTENT) INCLUDED IN OR ACCESSIBLE FROM THE SERVICES. Liability Limitation. TO THE MAXIMUM EXTENT PERMITTED BY APPLICABLE LAW, IN NO EVENT WILL Accurate Auto Glass, Inc., OR ITS PARENT COMPANY AND THEIR RESPECTIVE OFFICERS, DIRECTORS, EMPLOYEES OR AGENTS (“RELEASED PARTIES”) BE LIABLE TO YOU (OR ANY THIRD PARTY MAKING CLAIMS THROUGH YOU) FOR ANY DAMAGES WHATSOEVER, INCLUDING BUT NOT LIMITED TO ANY DIRECT, INDIRECT, SPECIAL, CONSEQUENTIAL, PUNITIVE OR INCIDENTAL DAMAGES, OR DAMAGES FOR LOSS OF USE, PROFITS, DATA, OR OTHER INTANGIBLES, OR THE COST OF PROCUREMENT OF SUBSTITUTE GOODS OR SERVICES, OR UNAUTHORIZED ACCESS TO AND TAMPERING WITH YOUR PERSONAL INFORMATION OR TRANSMISSIONS, ARISING OUT OF OR RELATED TO THE USE, INABILITY TO USE, UNAUTHORIZED USE, PERFORMANCE, OR NON-PERFORMANCE OF THE SERVICES, EVEN IF THE RELEASED PARTIES HAVE BEEN ADVISED PREVIOUSLY OF THE POSSIBILITY OF SUCH DAMAGES AND WHETHER SUCH DAMAGES ARISE IN CONTRACT, NEGLIGENCE, TORT, UNDER STATUTE, IN EQUITY, AT LAW, OR OTHERWISE. UNLESS LIMITED OR MODIFIED BY APPLICABLE LAW, THE FOREGOING DISCLAIMERS, WAIVERS AND LIMITATIONS SHALL APPLY TO THE MAXIMUM EXTENT PERMITTED, EVEN IF ANY REMEDY FAILS ITS ESSENTIAL PURPOSE. Accurate Auto Glass, Inc.’S THIRD PARTIES ARE INTENDED THIRD-PARTY BENEFICIARIES OF THESE DISCLAIMERS. IF ANY PART OF THESE WARRANTY DISCLAIMERS OR LIMITATIONS OF LIABILITY IS FOUND TO BE INVALID OR UNENFORCEABLE FOR ANY REASON, THEN Accurate Auto Glass, Inc.’S AGGREGATE LIABILITY FOR ALL CLAIMS UNDER SUCH CIRCUMSTANCES FOR LIABILITIES SHALL NOT EXCEED WHAT YOU PAID FOR THE PRODUCTS OR SERVICES FOR THE LAST 90 DAY PERIOD YOU WERE CHARGED. Indemnification. You agree to defend, indemnify and hold harmless Accurate Auto Glass, Inc. and its shareholders, partners, affiliates, directors, officers, subsidiaries, employees, agents, suppliers, and licensors from and against all damages, losses, liabilities, claims, and costs (including, but not limited to, reasonable attorneys’ fees and costs including costs to respond to regulatory inquiries, actions or subpoenas) related to all third party claims, charges, and investigations, arising from, relating to, or caused by your failure to comply with these Terms. Disclaimer of Warranties. Accurate Auto Glass, Inc.’s disclaimers of liability for damages caused by any interruption, malfunction, impossibility of access, or poor conditions of the Services for any reason will not apply to damages directly caused by Accurate Auto Glass, Inc.’s gross negligence or willful misconduct. In addition, Company’s disclaimer of warranty as to the quality, accuracy, completeness or validity of information or Content is not applicable to information you access or receive in connection with the Services and provided by Accurate Auto Glass, Inc.. However, Accurate Auto Glass, Inc. does not guarantee that the use of the Services will meet your requirements. Liability Limitation. The limitation of liability does not apply to you for damages arising out personal injury, property damage, negligence or willful misconduct or any other cause of action arising from the acts of Accurate Auto Glass, Inc. but does apply to the acts or omissions of third parties. Company’s aggregate liability for all claims under any circumstances will not exceed the lesser of $1,000.00 or your actual, out of pocket costs and damages. In no event will Accurate Auto Glass, Inc. be liable for special, incidental, or consequential damages as stated in the Terms. 8. RESOLUTION OF DISPUTES FOR U.S. RESIDENTS. Governing Law. These Terms shall be governed by and construed in accordance with the laws of the the State of Ohio without application of conflict of laws rules, except that the Arbitration provisions shall be governed by the Federal Arbitration Act. Limitation of Legal Remedies. If there is a dispute that remains unresolved, INSTEAD OF SUING IN COURT, YOU AND Accurate Auto Glass, Inc. EACH AGREE TO THE FULLEST EXTENT PERMITTED BY LAW TO ARBITRATE DISPUTES THROUGH BINDING ARBITRATION PURSUANT TO THE JAMS ARBITRATION RULES AND PROCEDURES, ON AN INDIVIDUAL BASIS, WITHOUT CLASS RELIEF, EXCEPT FOR DISPUTES PERTAINING TO Accurate Auto Glass, Inc.’S INTELLECTUAL PROPERTY RIGHTS; STATUTORY CLAIMS THAT PURSUANT TO LAW ARE NOT ARBITRABLE; INDEMNIFICATION; CONTRIBUTION; INTERPLEADER; OR INJUNCTIVE RELIEF ARISING OUT OF A CLAIM. This agreement to arbitrate is intended to be broadly interpreted. It includes claims based in contract, tort, statute, fraud, misrepresentation or any other legal theory (“Claim(s)”). The arbitrator’s decision and award is final and binding, with some exceptions under the Federal Arbitration Act, 9 U.S.C. 1, et seq., and judgment on the award may be entered in any court with jurisdiction. Jury Trial Waiver. YOU AND Accurate Auto Glass, Inc. EACH VOLUNTARILY WAIVE THE RIGHT TO TRIAL BY JURY IN RESOLVING ANY DISPUTE BETWEEN US ARISING OUT OF THESE TERMS OR THE SERVICES. Class Action Waiver. YOU AND Accurate Auto Glass, Inc. EACH AGREE THAT CLAIMS AGAINST THE OTHER MAY ONLY BE BROUGHT IN AN INDIVIDUAL CAPACITY AND NOT IN A CLASS ACTION OR REPRESENTATIVE PROCEEDING. All arbitrations under these Terms must be conducted on an individual (and not a class-wide) basis, and an arbitrator will have no authority to award class-wide relief. You acknowledge and agree that these Terms specifically prohibit you from commencing any legal proceedings as a representative of others, participating in a class, representative, or collective action as a class representative, class member or an opt-in party, acting as a private attorney general, or joining or consolidating Claims with claims or proceedings brought by any other person (“Class Action Waiver”). Arbitration Procedures. A party who intends to seek arbitration must first send to the other a written Notice of Dispute describing the nature and basis of the Claim and setting forth the specific relief sought (a “Notice”). All Notices to Accurate Auto Glass, Inc. must be sent to the following address: 3465 South Arlington Road, Suite E #133, Akron OH 44312. All notices to you will be sent to the email or street address provided in your account, if available. Upon receipt of such Notice, the receiving party will have a 60-day period in which it may satisfy the Claim against it by fully curing the Claim, providing all the relief requested in the Notice, or entering into a settlement to resolve the Claim to the mutual satisfaction of the parties. After the expiration of such sixty-day cure period, you or Accurate Auto Glass, Inc. may commence an arbitration proceeding. Unless otherwise agreed to by you and Accurate Auto Glass, Inc. in writing, the arbitration will be governed and conducted by JAMS before a single arbitrator with substantial experience in the internet industry and shall follow substantive law in adjudicating the dispute, except that this section shall be construed as a written agreement to arbitrate pursuant to the Federal Arbitration Act (“FAA”). You and Accurate Auto Glass, Inc. agree that this section satisfies the writing requirement of the FAA. The arbitration of any claim will be conducted in the State of Ohio, and for any non-frivolous claim that does not exceed $10,000.00, you shall have the choice as to whether the hearing is conducted in person or by telephone. For those claims that the arbitrator decides are not frivolous, Accurate Auto Glass, Inc. will: (1) pay all costs of the arbitration; (2) if you prefer, will conduct the arbitration by telephone, and (3) will not seek attorneys’ fees in the event Accurate Auto Glass, Inc. prevails. Each party will pay the fees and costs of its own counsel, experts and witnesses. The JAMS rules are available on its website at www.jamsadr.com. To the extent that this dispute resolution section conflicts with JAMS minimum standards for procedural fairness, the JAMS rules and/or minimum standards for arbitration procedures in that regard shall control. Neither party shall sue the other party other than as provided herein or for enforcement of this clause or for the arbitrator’s award; and any such suit may be brought only in Federal District Court or, if any such court lacks jurisdiction, in any state court that has jurisdiction. The arbitrator, and not any federal, state, or local court, shall have exclusive authority to resolve any dispute relating to the interpretation, applicability, unconscionability, arbitrability, or enforceability of these Terms including any claim that all or any part of these Terms are void or voidable. However, the preceding sentence shall not apply to the clause entitled “Class Action Waiver”. Severability. If any provision of this Section 8 is declared or found by a court of competent jurisdiction or arbitrator to be unlawful, unenforceable or void, such provision will be ineffective only to the extent that it is found unlawful, unenforceable or void, and the remainder of the provision and all other provisions will remain fully enforceable, except that if the Class Action Waiver for any Claim cannot be enforced, then the provision to arbitrate will not apply. 9. RESOLUTION OF DISPUTES FOR NON-US RESIDENTS. If any controversy, allegation, or claim (including any non-contractual claim) arises out of or relates to the Services or Terms and you are a non-U.S. resident, then you and we agree to send a written notice to the other providing a reasonable description of the dispute, along with a proposed resolution of it. Our notice to you will be sent to you based on the most recent contact information that you provide us but if no such information exists or if such information is not current, then we have no obligation under this section. Your notice to us must be sent to us at 345 Schwartz Road, Akron OH 44319, United States. For a period of sixty (60) days from the date of receipt of notice from the other party, Accurate Auto Glass, Inc. and you will engage in a dialogue in order to attempt to resolve the dispute, though nothing will require either you or Accurate Auto Glass, Inc. to resolve the dispute on terms either you or Accurate Auto Glass, Inc., in each of our sole discretion, are unsatisfactory. Nothing in this section will prevent a party from pursuing their claims in court or another complaint process. These Terms and policies incorporated herein are the entire agreement between you and Accurate Auto Glass, Inc.. They supersede any and all prior or contemporaneous agreements between you and Accurate Auto Glass, Inc. relating to your use of the Services. Accurate Auto Glass, Inc. may assign these Terms, in whole or in part, at any time. If any part of these Terms is determined to be invalid or unenforceable, it will not impact any other provision of these Terms, all of which will remain in full force and effect. Headings in the Terms are for convenience of reference only and shall not affect the interpretation or construction of this agreement. The failure of Accurate Auto Glass, Inc. to partially or fully exercise any rights or the waiver of Accurate Auto Glass, Inc. of any breach of these Terms by you, shall not prevent a subsequent exercise of such right by Accurate Auto Glass, Inc. or be deemed a waiver by Accurate Auto Glass, Inc. of any subsequent breach by you of the same or any other term of these Terms. The rights and remedies of Accurate Auto Glass, Inc. under these Terms and any other applicable agreement between you and Accurate Auto Glass, Inc. shall be cumulative, and the exercise of any such right or remedy shall not limit Accurate Auto Glass, Inc.’s right to exercise any other right or remedy. Please email us at Privacy@EZWebCenter.com or contact customer service at 330-724-6323 or write to us at: Accurate Auto Glass, Inc., 345 Schwartz Road, Akron OH 44312, if you have any questions about these Terms.